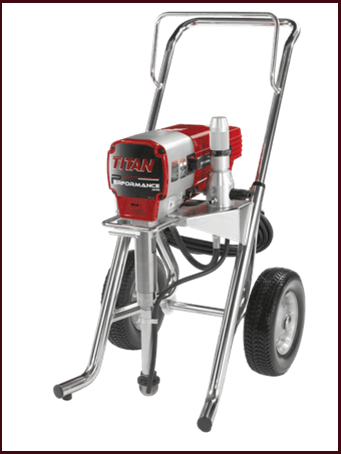 Strong non-skid feet for greater stability and a new pump durability Integ maximized block and portability. Features Quad containers + Titan - an innovative and patented technology that generates greater performance with fewer moving parts. Perfectly suited for residential maintenance, commercial, the performance 460E applied primers, paints and architectural coatings standard with ease. Robust design and ease of use: integrated pump unit, easy access to the service, push the inlet valve. Airless hose 1/4 "x 15 m.
Airless hose of 1/4 "x 15 m.
The 750e offers 17% more output than the 650e, It is perfect for residential repaint sprayer and small commercial jobs. 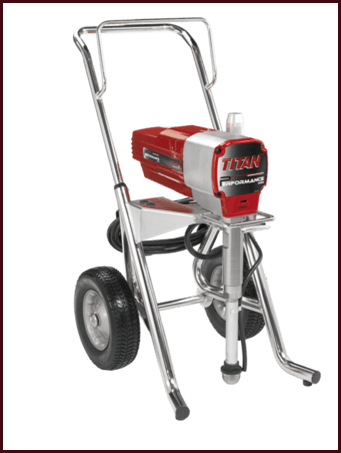 It is an ideal man sprayer; Lightweight and portable, but tough and reliable. Sprays all coatings, stains and sealants of enamel, LaTeX and elastomers light. PMDC brushless motor - low wear, low amperage. Lifetime lubricated - maintenance-free gear. 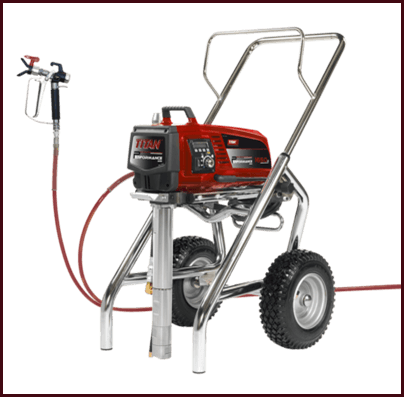 With all the features you would expect from a larger team, the 850e is the sprayer to paint new construction and industrial jobs. Capable of supporting two guns. Spraying everything, from primers, lacquers, enamels, LaTeX, block load materials and elastomers. 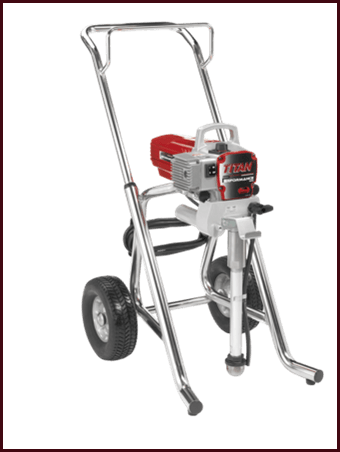 The 1150E is designed to be used every day in all residential applications, industrial and commercial spray with a pistol or two. 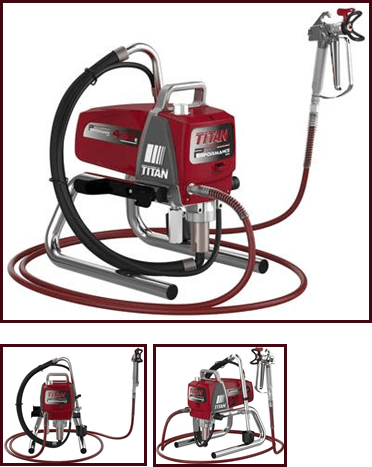 Powerful and reliable this team sprayed all primer materials, lacquer, enamel, LaTeX, epoxy resins and elastomers. 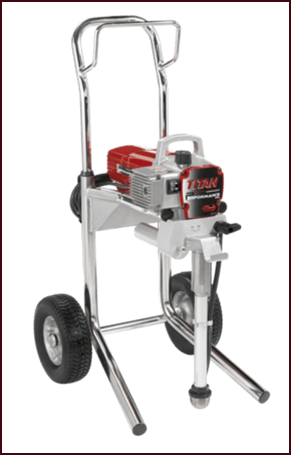 The 1650E is our most powerful electric unit, ideal for large construction. Digital control screen. You can work with two pistols. Suction of great flow valve, heavy duty, What makes 1650E equipment suitable for working with high-viscosity materials such as paintings of interior walls, facade paints, background layers, paintings of contact / primers, adhesive fabric, airless inserts, industrial anti-corrosion paint , bitumen, insulation Foundation, floor and ceiling finishes, as well as standard paints. Equipment tracer for floor signalling. Rough surfaces for painting equipment or textured. Accessories of semi-professional white work.